Earlier this year FuturePlus launched World of Warcraft: The Official Magazine, a subscriber-only, publication dealing with all things WoW. Blend Games got a chance to chat with John Gower, International Director of FuturePlus, and Julian Rignall, the magazine's editorial director, to find out how the mag came to be and what their long-term goals are. 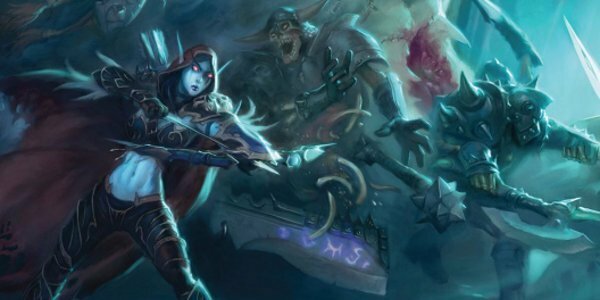 How did World of Warcraft: The Official Magazine come about? Who got the ball rolling? Both Blizzard and Future have been discussing the concept of a magazine for almost 4 years now. However, the type of magazine and the final publishing strategy only started to take form about a year ago. This magazine has sort of a rare business model: no ads, subscriber-only, and published on a quarterly basis. Is this a more common business model in industries besides gaming? What makes it attractive? This business model of ‘publishing on demand’ can only work when one has a sizeable and passionate audience to market to. Anyone that plays World of Warcraft knows that the game is created by a team of perfectionists. Everything that Blizzard does is uncompromising in the pursuit of perfection and their customers buy into this, therefore it was reasonable to expect that enough fans would subscribe to Issue 1 sight unseen. There aren’t many brands that engender such loyalty so this is not a common business model. Because of this uniquely passionate audience we were able to create a magazine that is 100% dedicated to the game. The game is a beautiful thing and so the magazine also had to be, therefore we decided not to carry advertising as it would have impacted on the aesthetic and flow of the magazine. We live in an era of ‘On Demand’ where the audience is discerning and is increasingly prepared to pay more to avoid advertisements or anything that interferes with a pure experience. WoW celebrated its fifth anniversary in the fall, which is pretty old for an MMO. Why launch the magazine now? The time just felt right for both parties. The brand has matured, there is now a plethora of fantastic content and we saw that there was a demand from many people for a magazine for the players by the players. The magazine is published in association with Blizzard. Have there been any discussions with them about cross-promotions, such as including bonus WoW content with the magazine (e.g. free in-game pet with a subscription)? For the magazine announcement at BlizzCon 2009 last August, we offered early subscribers an exclusive plush green murloc stuffed animal, and followed that with a 40-page downloadable preview of the content in December. The response by subscribers has been very positive, reinforcing that the magazine is more than valuable enough to stand on its own as a superior product. However, we are looking at various gifts to our subscribers...watch this space! Has Future ever attempted a game-specific magazine before? Could there be others if the official WoW magazine is successful? Future Plus often produces special issues of magazines that may focus on a specific game or genre but this is the first time we have been able to publish a subscription-driven periodical. This speaks to the unique position that World of Warcraft occupies as a phenomenal brand, with a passionate and loyal following; it also holds the distinction of being the most popular game in its category (MMO) in the Guinness Book of World Records. In the five years since WoW's launch, some pretty incredible online resources have been created by players. What does the magazine offer that these sites don't? One of the most important things is that since World of Warcraft: The Official Magazine is the official publication, we get the kind of access other sites don’t. That means we’re talking to the people behind the game, getting perspectives and comments that other publications simply cannot obtain. We also have access to Blizzard’s art resources – and since magazines are still the highest definition of any media, it makes it the perfect showcase for the amazing art of Warcraft. Finally, since we’re a publication, we can also articulate a design vision that online resources simply cannot compete with – you’re going to see the game in a way that you simply cannot see it anywhere else. I noticed that the first issue has a lot of contributions from the players themselves. How do you find community contributors? Is the magazine going to have a print-only presence? Will there be a companion website? The magazine will not have an online presence, other than a place to subscribe available at WorldofWarcraftTheMagazine.com. Readers who subscribe by the end of the month (Feb. 28) will receive the first issue. There are plenty of incredible WoW websites out there. We want to concentrate on making the magazine as good as it can be. What are your long-term goals for this publication? Are there any regular features you want to implement that aren't in the first issue? The first issue is definitely a good indicator of where we’re going – I think we did a pretty good job of covering all the bases. In terms of what we’d like to do going forward, I think it’s important that we ensure we cover the international aspects of Warcraft, so we’ll definitely be looking abroad for more player commentary so that US players, for example, can learn from the Taiwanese experts. WoW is a worldwide phenomenon and the magazine is produced in four different languages, so it’s important we don’t make the magazine feel too US-centric.